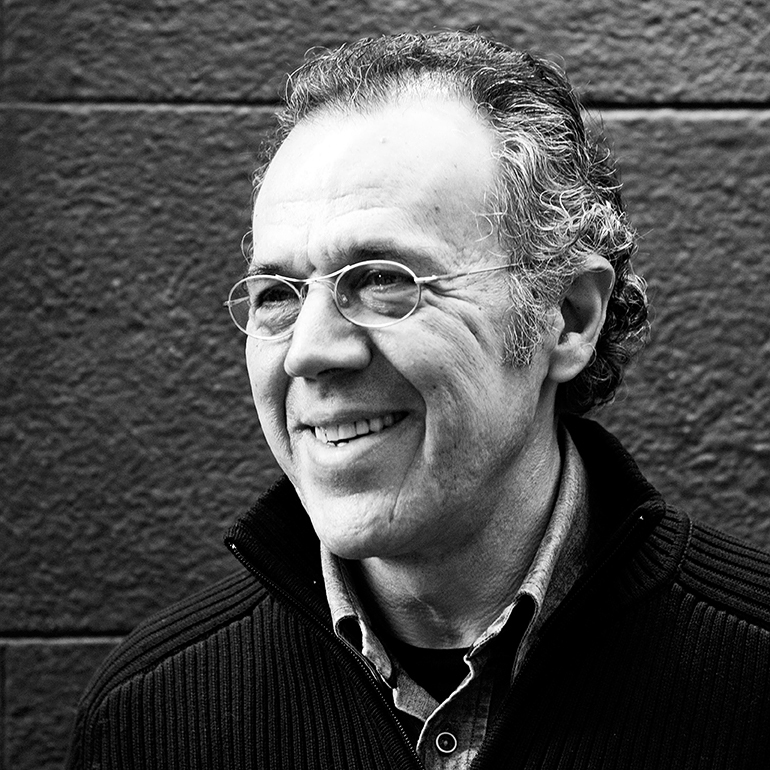 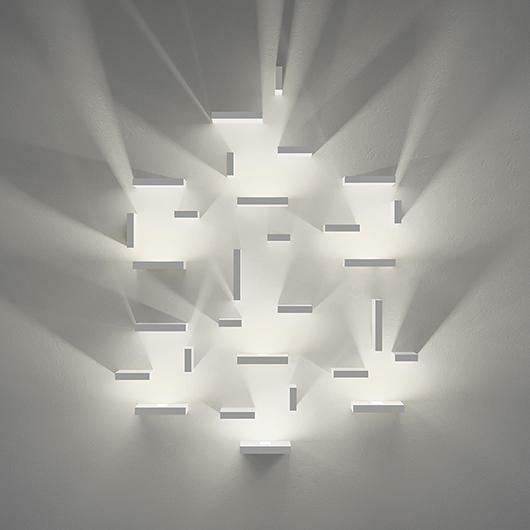 that create luminary effects through a game of light and shade. 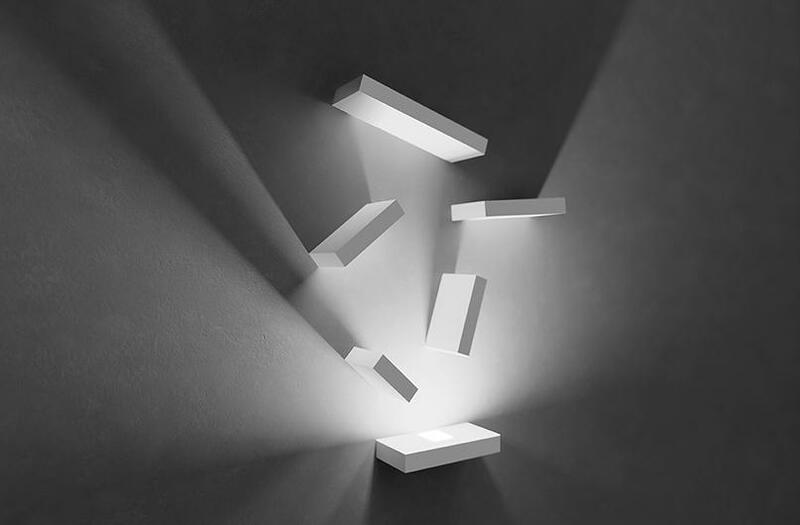 The Set lamp is made up of a fixed element which emits light from a LED source reflecting light over different mobile elements. 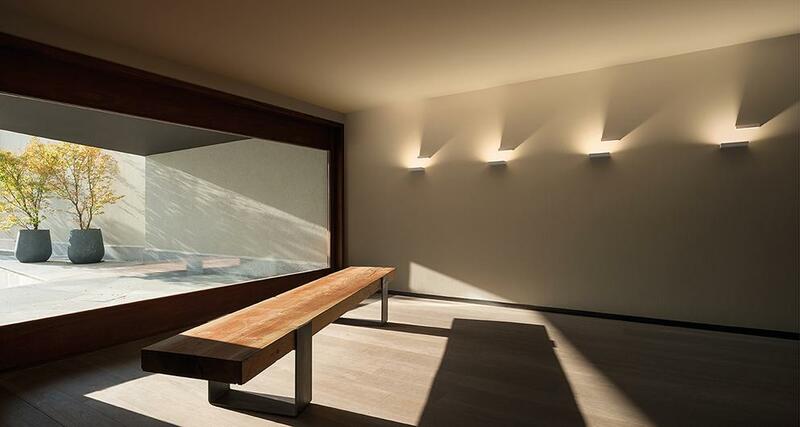 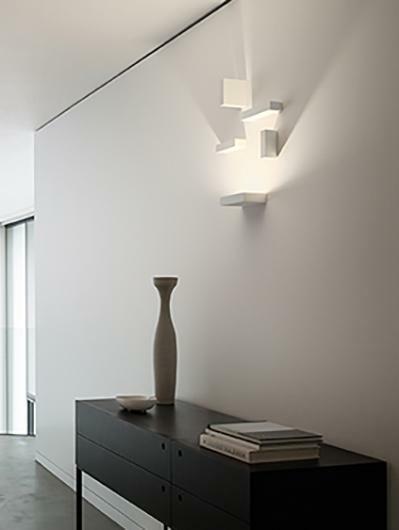 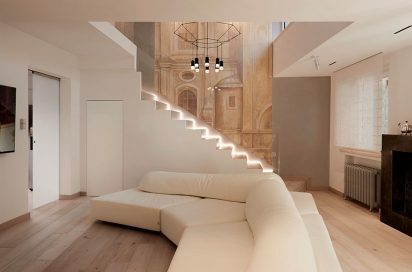 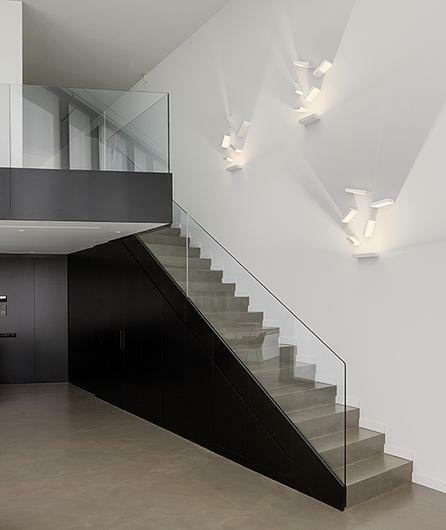 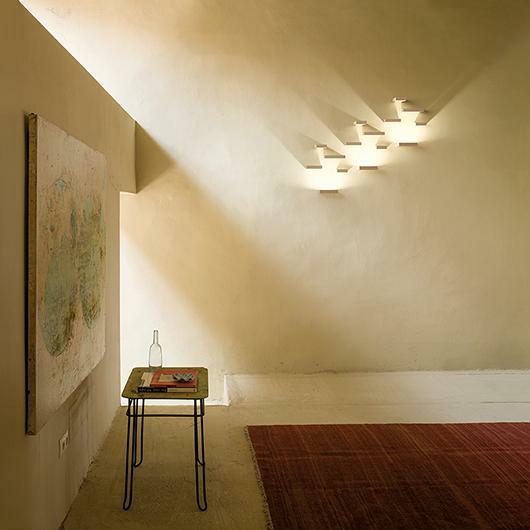 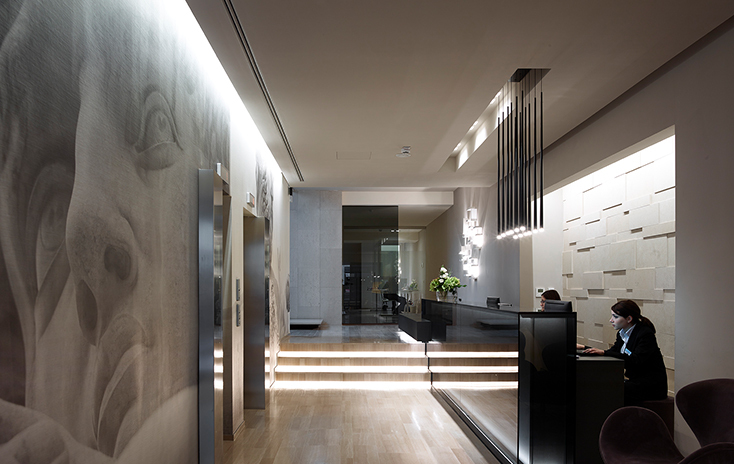 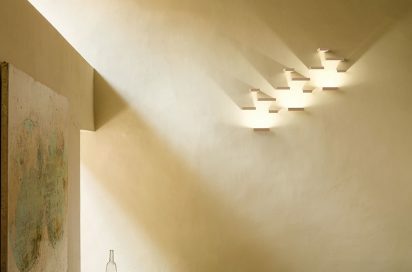 The different Set light models contained within this collection of wall lights are easily installed even for small scale surfaces such as an entrance hall to a hotel or office. 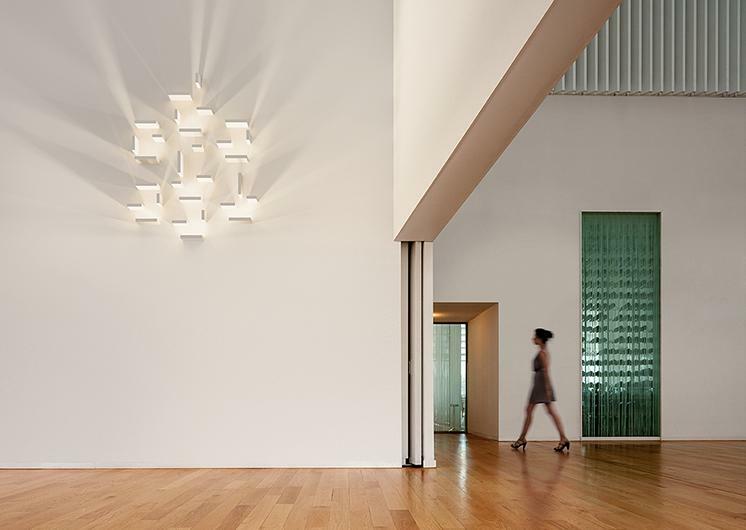 The Set collection is available in two different sizes and two colour options reflecting current trends in décor: matt lacquered white and matt lacquered mink.